Most dogs in the U.K. don't see snow in August, but on Wednesday this lovable dog got to play in the snow one last time. 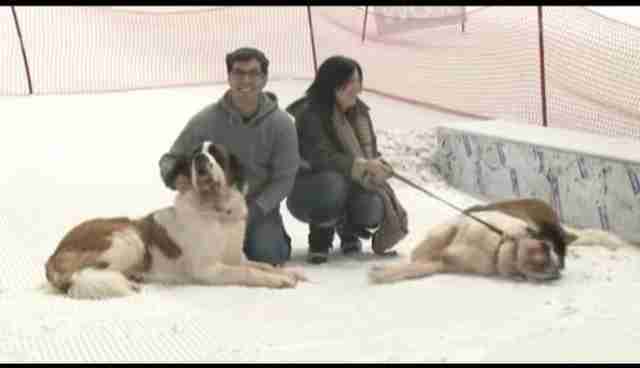 Just hours before passing away, Sophia the St. Bernard went to Chill Factore, an indoor snow dome in Manchester, U.K., to rub her snout in that good old white stuff. 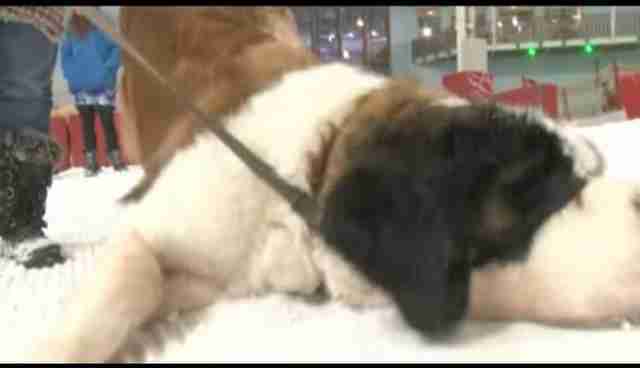 "We found out two months ago that Sophia's got bone cancer," said Sophia's owner Alyson Paige in a Press Association video. Bone cancer can be painful for a dog's joints and discouraging for their spirits. Like many other dogs, Sophia grew fatigued and disinterested in many things in life as her cancer grew. "She's not really shown any interest in anything for a couple of weeks now," Paige said in the video. "She absolutely loves the snow, and I've been searching for ideas, something to make the last time that we've got with her really special." Paige said the lovable dog Sophia was a "big support" to her as she went through infertility treatment. She wanted to return the favor for Sophia as she faced her own illness, so Paige "cheekily" sent an email to Chill Factore requesting that her dog be allowed to visit. 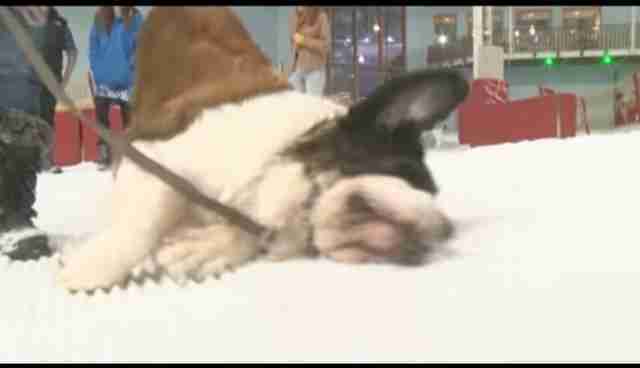 Paige didn't immediately hear back from the company and decided to arrange for a vet to put Sophia down as her condition worsened. On the very day of Sophia's appointment, Paige received a response from Chill Factore: They wanted Sophia to play in the snow. The video shows Sophia as she plays in, eats and rolls all over the snow. It was quite a sight to see, but it was also a bittersweet one, because Paige knew this would be Sophia's last day. Only a few hours after playing in the snow, Sophia was put to sleep. "Just to see her with a waggly tail and diving around in the snow, [making] snow angels, it's just been amazing," Paige said in the video. Bone cancer is a difficult illness for dogs and their owners, but thanks to Paige's compassion and thoughtfulness, Sophia was able to end her life gracefully and even with joy: Playing in the snow in the middle of August.